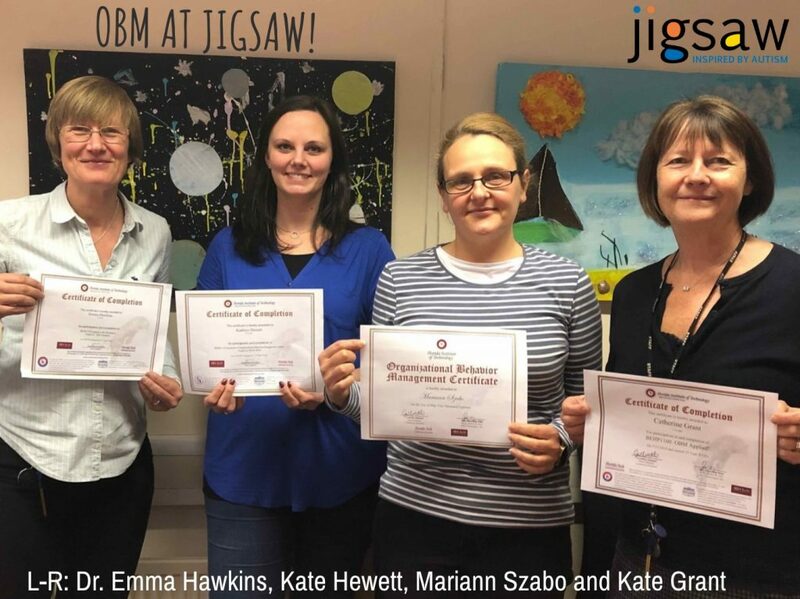 Congratulations to Kate Grant (CEO Jigsaw Trust), Dr. Emma Hawkins (Jigsaw’s Director of Education), Mariann Szabo (Deputy Head Teacher, Jigsaw School) and Kate Hewett (Supervisor, Jigsaw School) on successfully completing the Florida Institute of Technology’s Organisational Behaviour Management (OBM) certificate programme. OBM has its roots in the field of applied behaviour management and focuses on applying these same strategies to the organisation as a whole. The areas of application may include: systems analysis, management, training and performance improvement. This certification was completed as a group project forming part of Jigsaw’s ongoing programme of professional development and continuous review of processes in place within the organisation.